We’ve had some great skiing so far this season. November’s great start has continued into December with more cold storms. We are now at about 120% of normal snowfall for the year after several large storms hit Tahoe. We’ve been taking advantage of it whenever we can and I’ve got 12-days before Christmas — AiRung has 9. That is a really good start. 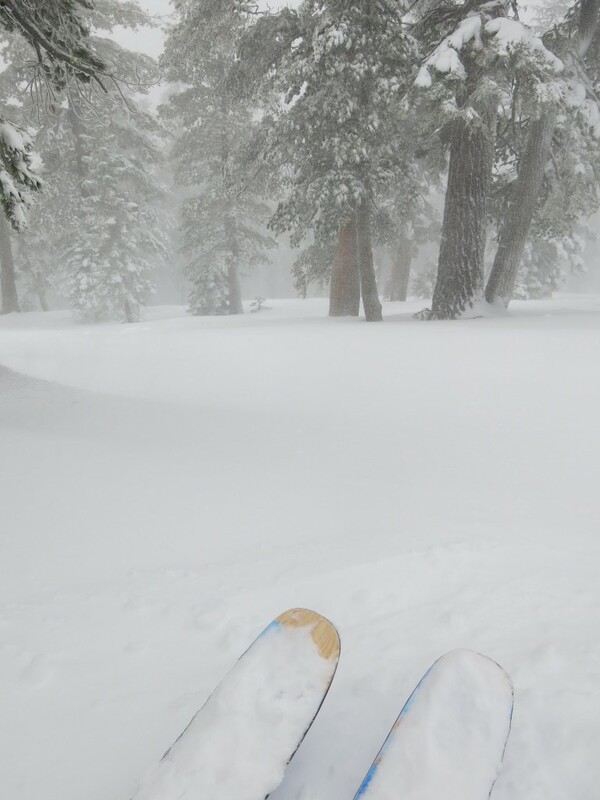 Heavenly is 85% open and Kirkwood is 100% (when winds and heavy snow don’t shut it down!). 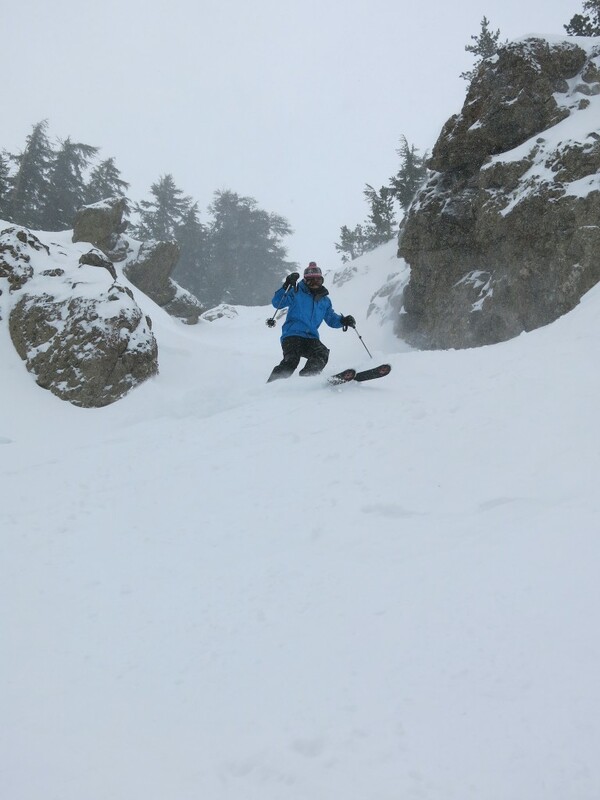 Below is a picture of our son Kai enjoying the steep stuff at Kirkwood. There have been some powder days too. On our most recent trip we used our powder skis all 3 days. Our first new resort of the year is in the bag — Arapahoe Basin, Colorado. That brings us to 47 resorts complete. 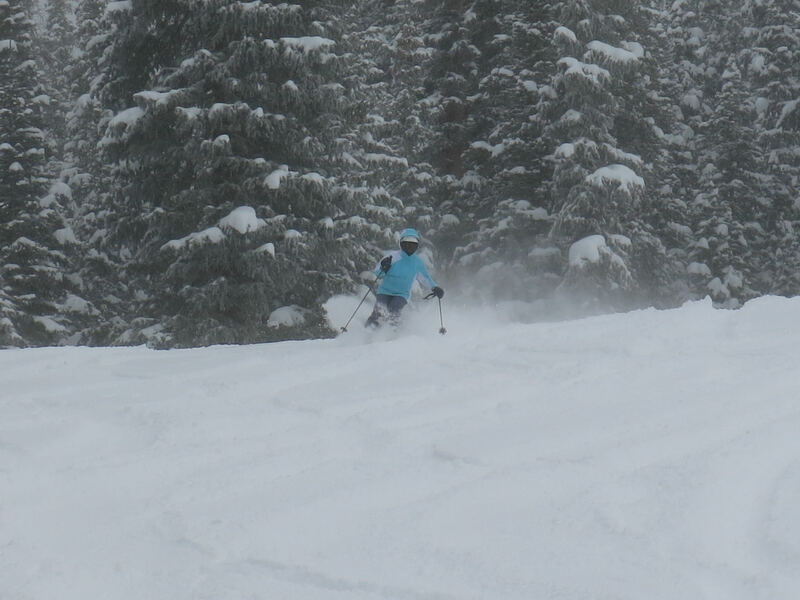 We had a mid-December trip to Summit County where we skied A-Bay and Keystone. Yes, we hit powder as we usually do in Colorado this time of year — maybe too much powder because travel was more of an adventure than we wanted. The Denver airport was shut down for several hours the day we flew back so we didn’t get back home until 2AM. We look forward to the rest of the season and hope to get as many as 8 new resorts done this year given the excellent snow falling over Western North America. This entry was posted in Uncategorized on December 25, 2015 by Ron Thompson.